Flawless foundation is something we all aspire to when we’re applying our makeup, but sometimes just ends up looking nothing like what you imagined – prompting a bit of a hissy fit (at least in my case) but I’ve got a few tips to help make sure your foundation goes on as well as possible and gives that airbrushed instagram worthy finish. Regularly exfoliating your skin will not only help your skin look more glowy but will also make your foundation sit better as it won’t be clinging to any dead skin cells making it look patchy and dull. I like to exfoliate manually with a flannel and also use a chemical exfoliant – my favourites are Alpha H Liquid Gold and First Aid Beauty Facial Radiance Pads. If your skin is parched then it’s just going to eat your foundation in no time at all and cling to any dry patches if you’re susceptible to dry skin. By moisturising you’re giving your skin the hydration it needs so your skin will be plumper and more glowy which will show through and make your foundation look flawless. There’s no point prepping your skin only to put dirty tools on your face because your foundation isn’t going to look its best, so make sure you clean your tools regularly (including your hands if you use fingers!). It’s really tempting to just slap on your foundation in the morning – especially if you’re in a bit of rush – but taking that bit of extra time to really blend in your foundation will leave a better more even finish and you don’t run the risk of any unsightly tide marks. Also foundation isn’t just for your face, don’t forget your ears if your hair’s up and your neck and décolletage if they’re showing. A primer helps to smooth out the skin pre-foundation and – depending which one you opt for – address any problems such as redness, oiliness or dullness, allowing your skin to look flawless and lengthen the lifespan of your foundation application. Some of my personal favourites are Bobbi Brown CC Cream for redness and Becca Ever-matte Priming Perfector to keep shine at bay. 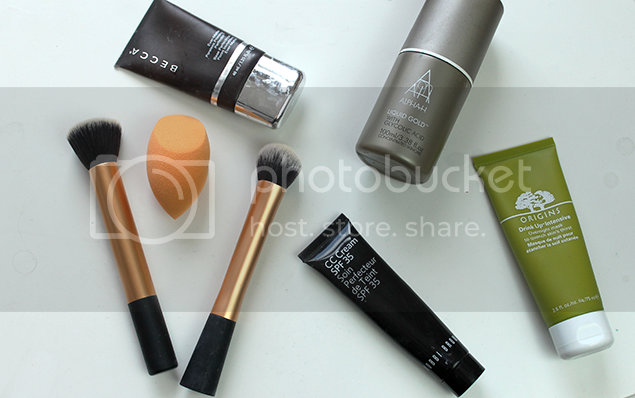 There you have it, my five tips for flawless foundation. Have you got any tips for achieving flawless foundation? Fab post hun some really great tips 🙂 I have to agree exfoliating is so important for good skincare and to create a great base for foundation 🙂 I really need to wash my brushes more frequently as I’m a little naughty when it comes to that haha.